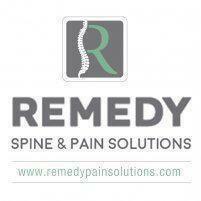 A spinal cord stimulator (SCS) is a device used to manage and control symptoms of chronic pain. Spinal cord stimulators work by delivering a low level of pulsed electrical signals to the spinal cord to block sensations of pain from reaching the brain. By interrupting the normal pain pathway with electrical signals, SCSs are able to desensitize a person from the chronic they may be experiencing. Spinal cord stimulator leads are first placed on either side of the epidural space (outside the spinal cord) of the person receiving treatment. He or She will then have a 5-7 days trial period with an external battery that communicates with the implanted leads. If trial is successful and pain is reduced, a procedure to install the battery will be done. The battery that controls the leads is typically placed under the skin of the low back or buttocks. At this time, conveniently, every part of the device is internal with no wires or restrictions. Electrical stimulation dates back to over 4,500 years ago. It is believed that ancient Egyptians used electric eels and electrogenic fish to treat a variety of diseases. They would place the fish on to the painful location, and the electrical discharge from the fish was said to reduce the pain at the site. Development of the modern era of neurostimulation began in the 1960s. It was not until 1967 that spinal cord stimulation came into existence and even more recently in 1989 when this was widely used as a treatment for otherwise intractable pain. In the United States, the most common indication of SCS is failed back surgery syndrome. Unfortunately, back pain may be persistent or recurrent even after undergoing surgery. Each person’s degree of pain varies but it is estimated that approximately 40% of patients who undergo spinal surgeries continue to experience chronic pain afterwards. Spinal cord stimulators are also used to treat the following diseases: Complex regional pain syndrome, inoperable ischemic limb pain, multiple sclerosis, post-herpetic neuralgia (shingles), intercostal neuralgia, and phantom limb pain. If you suffer from one of the following conditions, spinal cord stimulation may be an appropriate option for you. Call today or make an appointment to discuss treatment options involving SCS!